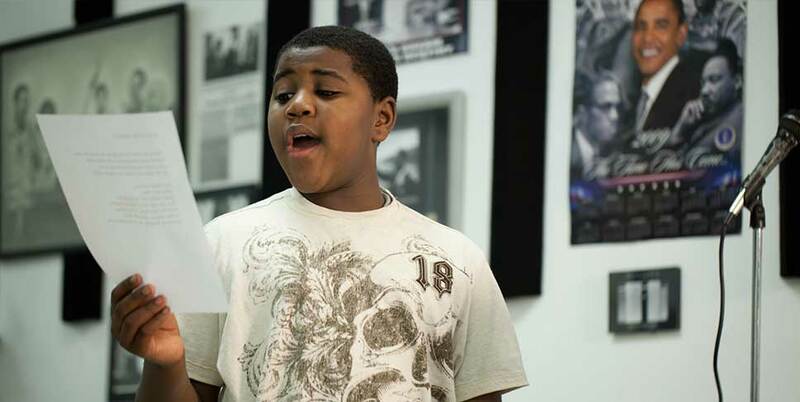 Since 1982, the Afro-American Music Institute has provided music instruction for people of all ages. Its respected educational programs include The Boys Choir Of Pittsburgh, Jazz Lab and Summer Music Intensive. The Pittsburgh Foundation is a proud supporter. There are hundreds of nonprofit organizations in Pittsburgh and hundreds more in the surrounding counties of western Pennsylvania. Nationally, there are tens of thousands of public charitable organizations. Making one’s way in this sea of organizations can be daunting. The Center for Philanthropy is always available to help but for independent research evaluating nonprofits, the following resources may be useful. These tools cannot replace the expertise and knowledge provided by staff at The Pittsburgh Foundation, but evaluating nonprofits of interest can help sharpen a donor’s grasp of some of the central issues and organizations at work locally and across the country. In order to become a public charity (a.k.a. “nonprofit”), an organization must apply for and obtain a 501(c)3 tax status from the Internal Revenue Service. This status makes the organization exempt from corporate income tax and makes charitable contributions to this entity tax-deductible. Private businesses cannot earn this status even though their products may appear to benefit society. While some organizations with nonprofit status can charge for some services, all are dependent on donations, grants or dues to cover the majority of their expenses. Nonprofits vary dramatically in size and mission. Some operate at a local level with no full-time staff while others work on an international stage with dozens of employees. Depending on one’s philanthropic interests, it may be useful to understand how organizations differ in size and area of focus. Grassroots Organizations: These are typically small, often staffed by volunteers, working in a very local context. While total revenues are frequently less than $250,000 annually, some grassroots organizations are substantial with full time employees and significant budgets. Anchor Institutions: Anchor institutions are located in a particular community and offer multiple services to residents of that community. Based on the settlement house model of the early 20th century, anchor institutions are committed to staying in their communities and serving as a hub for neighborhood engagement. Size varies but revenue is usually generated through a combination of government grants and private donations from both individuals and private foundations. Safety Net Organizations: These can be small or large but generally are of critical importance to a community because they serve uninsured and low-income individuals. They normally have some full-time staff including an executive director. Human service organizations like health clinics, transitional housing programs, and food banks could all be classified as safety net organizations. Revenues vary greatly but can range for $250,000 to $50 million annually. Economic Engine Organizations: Generally headquartered near the seat of government, either at the state or federal level, these organizations focus mainly on advocacy, policy and regulations. Their budgets are usually measured in the tens of millions of dollars and their programs focus on changing behaviors or regulations that impact the largest segments of the population. International Aid & Development: Whether providing disaster relief, developmental aid or cultural exchanges, nonprofits working on the international stage must adhere to the same tax reporting rules as domestic groups. Like other nonprofits, these organizations vary tremendously in size and mission. Some deliver services on the ground in foreign lands, often at great risk, while others make donations of money or goods to those doing the work. Every nonprofit in the United States is identified by a coding system called The National Taxonomy of Exempt Entities or NTEE system. These codes are used by the IRS and National Center for Charitable statistics to classify nonprofit organizations. A review of these major categories may be helpful in identifying areas of personal interest. There are no magic rules that apply to understanding the finances of all nonprofits. Even though all nonprofits are compelled to drive their resources toward their mission, the type and size of the organization, its sources of revenue, and the length of time the organization has existed are just a few of the factors that make financial analysis of nonprofits more complicated than for-profit analysis. In short, the bottom line does not tell all in the public service sector. Membership organizations tend to rely heavily on dues to cover their expenses. Arts and education related organizations are more dependent on donations and grants. Human services-related nonprofits like clinics or mental health facilities also receive grants and donations but can also charge for some of their program related services. Other sources of revenue can include gift shops or fundraising events. PittsburghGives: This is the place to find detailed information about Western Pennsylvania’s nonprofits. The information helps you make informed decisions about charitable giving. Organizations can be searched by name or category and each organizational profile provides an informative snapshot of its missions, programs, management, governance and financials. Several national organizations maintain free, on-line data bases of public charities. All are easy to use but keep in mind these services compile information from public sources like tax returns and incorporation records. While some of the services will provide qualitative evaluations, these ratings do not include any information collected from local sources or through conversations with the nonprofit themselves.